Sometimes in Silicon Valley we make stuff. Like any makers, or really anyone who wants a bit of fame and immortality, we like to sign our stuff. There are many ways to do this. Through the 1980s, most companies were OK with this practice. Apple was schizophrenic, keeping some teams from announcing themselves while encouraging others to sign their work. 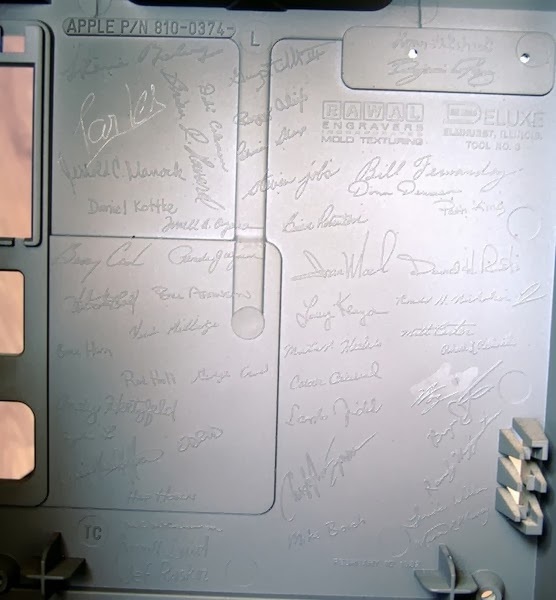 The original Mac team literally signed the case mold, ensuring their names would appear on the inside of every Mac produced. I was Apple's Developer Support Manager when this About Box shipped, and I got an email complaining about it. Specifically, the writer didn't like that the About Box included a reference to Jim "The" Lord (Jim Lord was a real person on the team) and also objected to the line Thanks to Satan for C Language brace style. You can't please everyone. 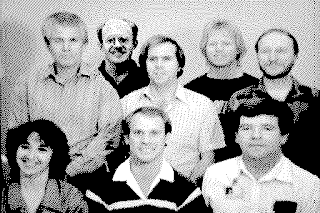 The folks who made the Macintosh SE managed to hide photos of themselves in ROM. 1. It lent an air of mystery to About Boxes because you had to know how to invoke them. 2. Teams could semi-plausibly hide About Boxes from management because they weren't obviously visible. One of the best-known Secret About Boxes shipped with System 7.5.3. 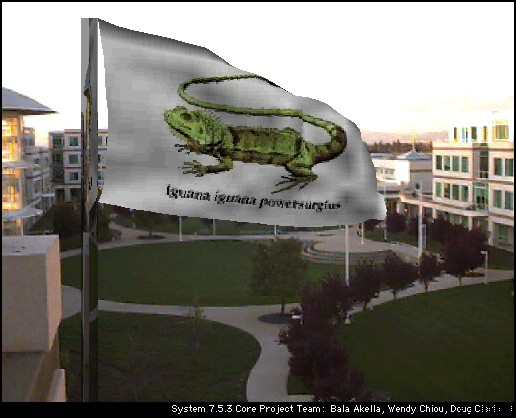 After following the secret instructions, which involved typing the phrase Secret About Box and dropping it in a certain place, you got a cool picture of a fake flag waving over Apple's real campus. Windows XP had a credits screen that was Internet-based. (I forget exactly how it worked and can't Bing the answer. Maybe one of my old Microsoft pals remembers?) Because many Windows customers, especially governments, don't like hidden surprises in their software, Microsoft fully disclosed how to find this About Box and what it contained. Not much adventure in that approach. Some software, like Hypercard 2.0 and BBEdit, puts the user's own name into their About Boxes. That's very nice of them. This is how a guy who mainly wrote documentation and helped developers got some fun credit. And yes, this is reminiscent of Apple listing employee names on posters for the Mac's 30th anniversary. There are zillions of examples of great About Boxes. If you have any favorites, please bring them up in the comments.